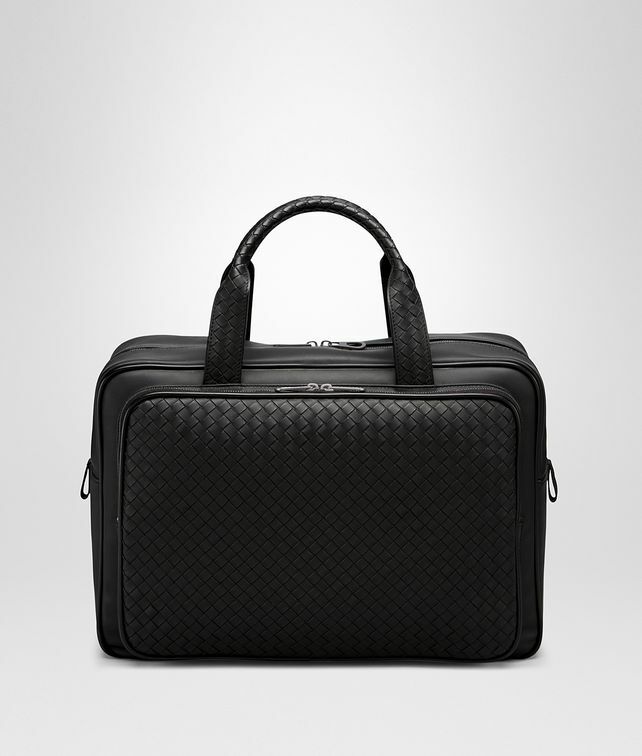 Constructed from Bottega Veneta's signature intrecciato VN leather, which has been specifically developed for exceptional endurance and resistance to wear and tear, this carry-on bag is designed to last. Distinctive and compact, the double handled bag is fully lined in soft cotton padding and features an external, padded zip pocket, perfect for storing a small laptop or electronic device, a rear opening for stacking the bag on a suitcase, and one internal patch pocket. Height: 35.6 cm | 14""
Width: 42.5 cm | 16.7""
Depth: 17.2 cm | 6.8""